1. She’s adorable && a champ. 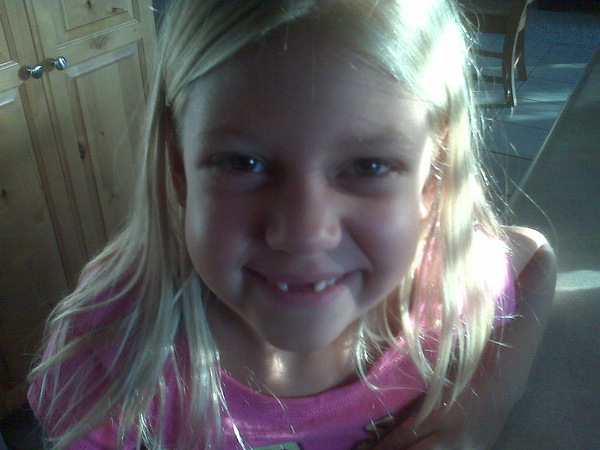 Pulled her front teeth out (mostly) by herself. 2. While writing a speech for my comm 2010 class tonight I was inspired and would just like to remind everyone and anyone that may need a little reminding….be respectful and responsible to our community. 3. I had an amazing work filled weekend and am so grateful to all the interesting and annoying people I sell lotion with. LOVE THEM. 4. Also, I am super content. p.s. I really love this song sometimes. I know, I know, even I have to try not to barf that it’s Avril Lavigne. Get over it. This entry was posted in All I want for christmas is my two front teeth, drinking and driving, Grandma MAS, Katie Flynn, Noelle by Brooke. Bookmark the permalink.